In June, bell peppers are being featured for the Harvest of the Month (HOTM) program. Bell peppers are available in a rainbow of colors and complement a variety of dishes and cuisines. Check out these resources and ideas to celebrate Harvest of the Month with local bell peppers! 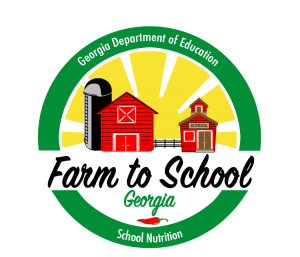 Summer is the perfect time to source Georgia grown and local agriculture products, they are in abundance. For information and ideas on local foods and agriculture-based activities in the summer, see USDA’s Farm to Summer Fact Sheet. Serve fresh bell pepper strips with hummus or low-fat dip. Dice or slice fresh bell peppers and add to a salad. Slice bell peppers into strips or rings and add to sandwiches or wraps. Conduct a taste test with students using green, red, orange, and/or yellow bell peppers. Have students vote on which color pepper is the sweetest. Visit the Harvest of the Month page for taste testing resources. 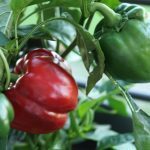 National Pepper Month – Find resources for bell peppers, from the United States Department of Agriculture, Food and Nutrition Service, Healthy Meals Resource System. What’s Cooking? USDA Mixing Bowl – Search for recipes using bell peppers in this interactive website. The website includes a searchable database for healthy recipes and can help with meal planning, cooking and grocery shopping, from the United States Department of Agriculture, Food, Nutrition and Consumer Services. Bell Pepper and Apple Coleslaw – a great side dish for a summer barbecue. Rainbow Bell Pepper Boats with Garbanzo Beans and Kale – a colorful vegetarian dish. Ratatouille – a simple vegetable side dish to use fresh local peppers and tomatoes.